Weinsocialtech | Accelerator for Female-led ‘Social Tech’ Start-ups opens in London! Weinsocialtech / Events / Accelerator for Female-led ‘Social Tech’ Start-ups opens in London! A new accelerator for women-led startups aims to tackle the gender imbalance in London’s tech sector and promote businesses with a social purpose. The main drivers of the accelerator, called We in Social Tech, are the difficulty that female founders of startups have in securing funding, and the lack of women in tech generally. Only 7% of people working in the tech industry across Europe are women, and only 4% of venture capital investment in the sector goes to companies started by women, according to Ghislaine Boddington, a spokeswoman for the accelerator. For girls and young women, having role models in science, technology, engineering and maths (Stem) careers can provide a vital confidence boost, potentially pushing them towards a sector not traditionally seen as for women. We in Social Tech will support the growth of 60 businesses over the next 18 months through bespoke business consultancy packages that include access to industry mentors, who will be matched to the startups based on individual needs, and free co-working space. Startups will also be given access to potential investors and Nwes has said it will not claim any intellectual property or equity. At the heart of We in Social Tech’s mission is an emphasis on different kinds of value, said Boddington. “We came to a realisation that the word ‘value’ had seemingly become attached only to an economic interpretation,” she said. “Our debate then was about how to reintegrate ethics into our businesses when every time we used the word ‘value’ to politicians, investors and others, it was instantly translated into meaning financial returns. There is also a financial incentive to invest in social tech as, according to Edelman’s 2018 Trust Barometer, more consumers, particularly younger people, want to buy from organisations they trust. The accelerator programme will be funded by Deutsche Bank through its social enterprise programme, and the project itself will be delivered from Wood Green Works, a new workspace for creative industries in Haringey. 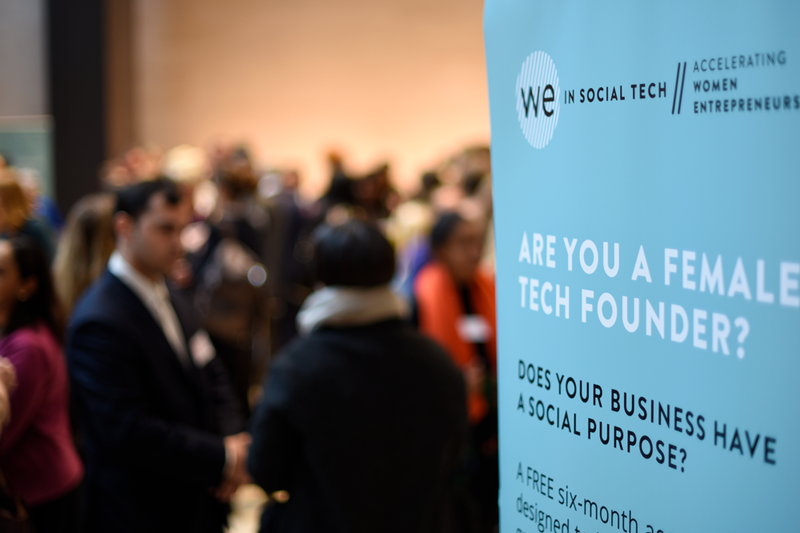 The deadline for applying to We in Social Tech’s first cohort is 19 November, and there will be further intakes in February and April next year.